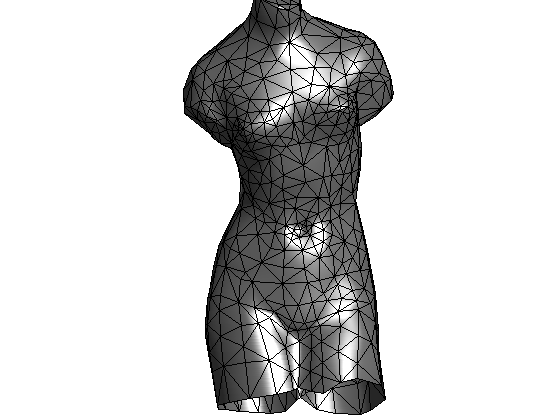 This tour explore the simplication of a highly detailed mesh into a coarser one. 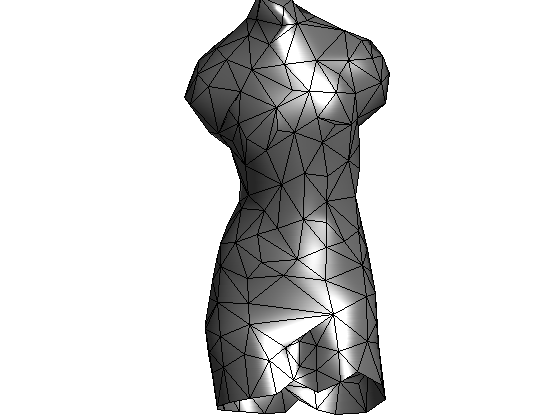 Simplest way to perform mesh simplification is through edge collapse. Each step replaces two vertex joined by an edge by a single vertex, and removes the edge. Compute the collection of edges. Select an edge. Here selection is done at random. 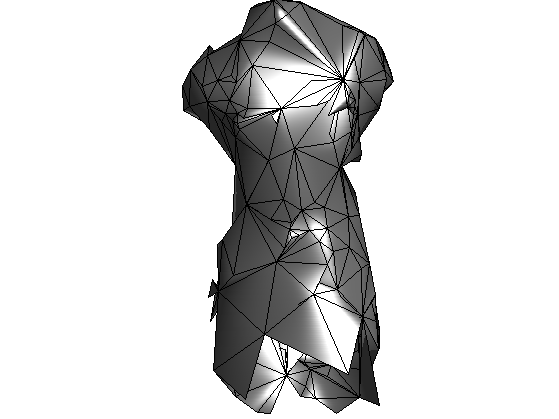 Change the vertex location, and remove one of the two vertices. Exercice 1: (check the solution) Perform iterative collapse to reach p = round(2*n/3) vertices. Exercice 2: (check the solution) As a post processing, find a way to remove from faces1 and vertex1 the unecessary information (remove vertex and faces that are not used). To ameliorate the quality of the output mesh, it is necessary to order to select the edge to collapse according to some quality priority. Exercice 3: (check the solution) Perform iterative collapse to reach p = round(2*n/3) vertices. Use an ordering of the edge by their length. Exercice 4: (check the solution) Try to use other criteria.